Not all dogs and not all facilities are created equal. While we provide professional care informed by many years of service, we are a camp, not a traditional kennel, a hotel, or a fancy boutique. Your dog will be outside, swimming in a pond, running with other nice dogs, exploring nature on real grass. If that’s what you’re looking for, we could be the place for you. We ask, however, that all new customers fill out a pre-boarding questionnaire. 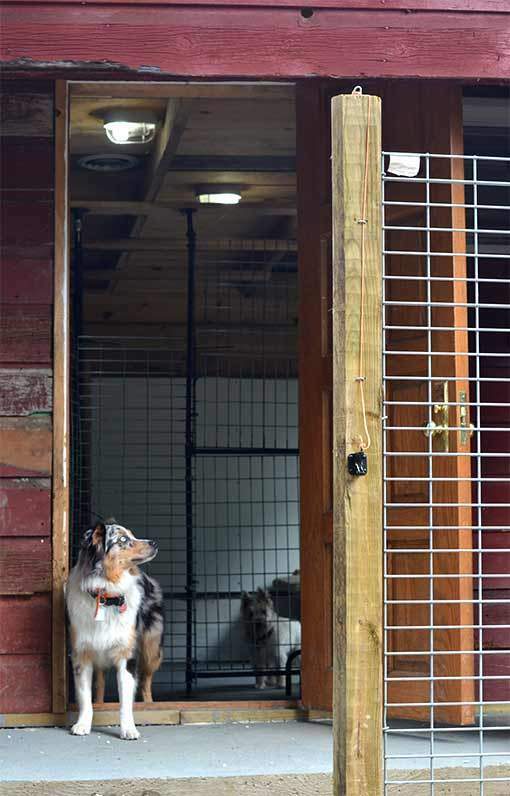 This process helps us ascertain if your dog will be a good fit for the Country Dogs® experience. If your dog has any of the above qualities, it doesn’t necessarily mean s/he can’t board with us. Take this pre-boarding questionnaire. We’ve used it for years and it really works well. If you would like to visit our facility before making the decision to board, we can also arrange a pre-boarding tour. An appointment is required for the safety and protection of our boarders. If you’re interested in arranging a pre-boarding tour, please email to [email protected].